Jessica is a licensed professional clinical counselor trained to diagnose and treat mental and emotional disorders. 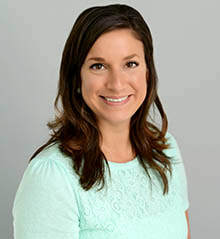 Before joining Providers for Healthy Living, Jessica was a clinician at UMCH Family Services, where she provided a variety of mental health services to children in schools and outpatient settings. ​Jessica specializes in treating children, adolescents, and adults with trauma recovery, mood disorders, anxiety disorders, crisis intervention, difficulty at school, and oppositional behaviors. She has specialized training in trauma-focused cognitive behavioral therapy and crisis intervention. Jessica has degrees from Mount Vernon Nazarene University (BA) and University of Cincinnati (MA). She has experience working with children, adolescents, and families in partial hospitalization and outpatient settings. She enjoys helping those she works with to regain emotional stability and improved functioning.